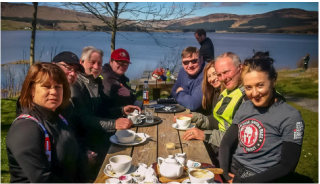 By becoming a member of Ayrshire Touring Motorcycle club you will receive invites to all of our runs and ride outs, club meetings, social events and parties. You will be automatically subscribed to our monthly newsletter, invited to take part in our Facebook closed group and Whats App group chat. You can submit runs and run reports, lead your nominated runs and take part in our annual AGM. 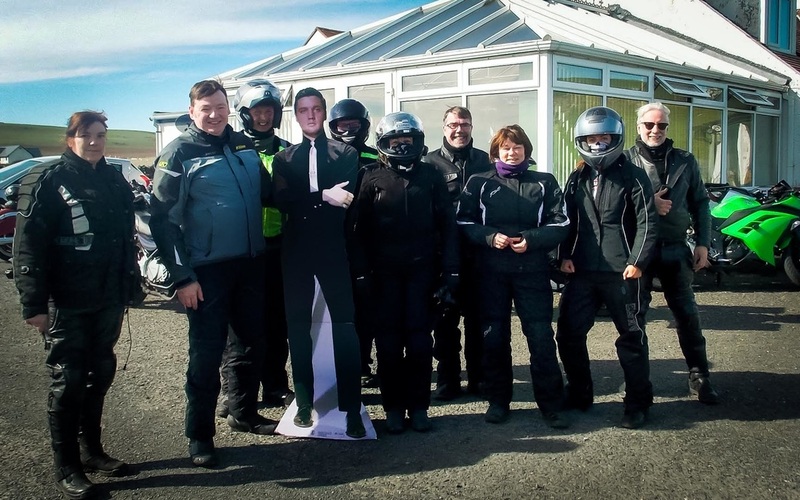 You will be added into our points accumulator where we keep track of members points; points can be achieved by attending runs, coming along to meetings and bonus points for coming to club meetings on a motorcycle. You can also be nominated or nominate yourself to join the ATMCC Committee. In 2016 we launched our learners initiative, both to encourage new members and support 125 riders. 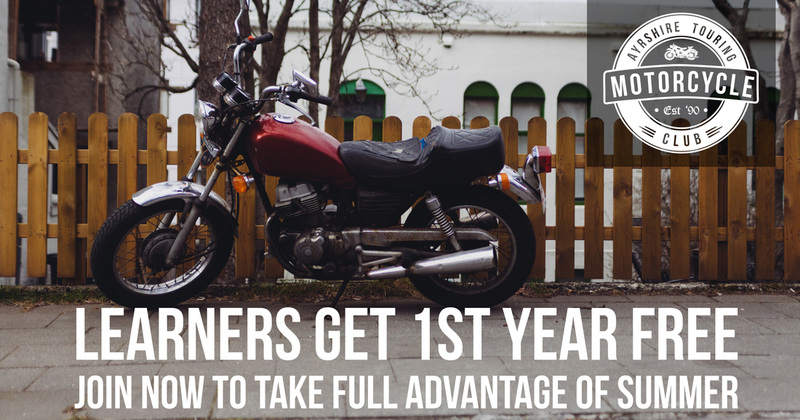 If you are a learner on a 125cc motorbike you will receive your first year for free. A single membership is £15 and a joint membership is £20 per year. This runs January 1st to December 31st. Because of the popularity of this campaign, for 2017 we are continuing this offer. We meet at 7.30pm on the first and third Wednesdays of the month at Dreghorn Community Centre, Dreghorn, Irvine, KA11 4EQ. We kindly ask members to contribute £1 when attending each meeting, this goes towards the cost of hiring the venue and the supply of tea, coffee and biscuits. We have a Checkpoint Charlie List which is an annual list of destinations you can collect points for visiting although evidence (selfies) will be required. There is a trophy to be won for completing as many as possible, submitting photos and writing run reports. We annually host an Awards Night with nominations for Rider of the Year, European Trip (presentations shown prior to Awards Night). We also have an Annual Pool Competition in Spring with prizes to be won. Trophies may be awarded and engraved and if you recieve one you will have it for one year. When there is a fifth Wednesday in a month we use these as social nights and host a variety of events from Interclub Quiz Nights to Rock Tribute Nights and Annoy the Neighbours Parties. Fifth Wednesdays can take place on any day or night of the fifth week. Points are accumulated throughout the year for attending club nights on bikes. AGM’s are held annually in March. We ask members to submit routes and lead them, write a run report for your event and nominate a Tail End Charlie for your routes. We like to look after each other and we ride as a unit. Prior to any organised runs we discuss safety procedures, petrol stops and the route. We ask all members to abide by the Highway Code and ride in a courteous manner. 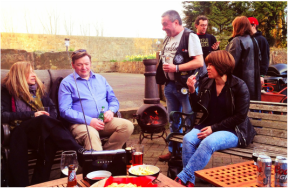 It's also great to get hints, tips and advice from other members on your bike, any mechanical issues and your riding style. Please click the Join Now button and fill out the form. ​You can email it back to ayrshiretouringmcc@gmail.com along with a paypal payment or hand it in at the next club meeting with cash.